Kiss whole day but leave no proofs behind… Kajal Kissproof Lip Colors has 14 beautiful colors and has the technology to quick dry on your lips and do not get transferred either to the cheeks of your belowed or to the glass surface from which you drink water or tea. 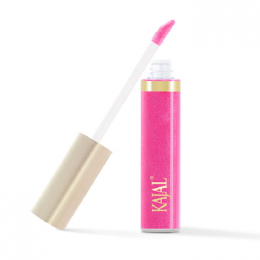 Kajal Caregloss is the modern lipgloss with essential 5 glittered colors range. It includes Vitamin E and involves the function of a lip care product. Kajal 12 Colors Creamy Lip Colors Palette with amazing shiny application on lips. One of Kajal’s most valuable make up kits; with 2 tones of blushers and 6 tones of lip colors. Beautify your cheeks and lips in harmony of color shades and fashion.